When two or more people are considering starting a business together, or are part of closely held business, they should enter into a buy sell agreement. A buy sell agreement is an agreement between business owners that governs what happens to an owner’s shares in the business upon his death or other departure from the business, such as through a divorce. Buy sell agreements can be very helpful to estate planning because they can be used to accomplish two key things: one, find a ready market for the business owner’s shares; and two, establish a price for the shares in advance. 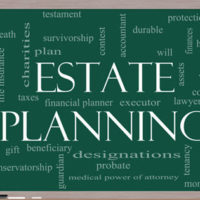 These considerations can be very important when estate planning. Business partners entering into buy sell agreements usually do so with a goal of providing continuity and certainty in the event of a business owner’s death. Knowing who will buy out the shares of a deceased business owner and how much the shares will cost can allow the remaining business partners to make future plans and invest in the business. The business can guarantee that it will have the ready cash to buy any shares pursuant to a buy sell agreement by taking out an insurance policy. For estate planning purposes, a buy sell agreement allows a business owner’s heirs to sell inherited shares in a business fast and for a guaranteed price per share. This may be important for heirs who have no interest in running the business and would prefer to cash out as soon as possible. This is also something important for the business owner to consider. If he would rather that his interest in the business be continuously held by his family members, he can find another way to bequeath his interest in the business. The calculation of the price of shares can be done in several ways, and the method to be used is designated in the buy sell agreement. Because there may be challenges to the method used to calculate the share prices, it is important to consult with an attorney and an experienced financial professional with experience in drafting buy sell agreements before finalizing the agreement. Generally, the buy sell agreement is not a document that designates who will inherit the shares. The person who owns the shares still has to make that designation in a will or trust or otherwise provide a way for the shares to be legally transferred after the business owner’s death. Because the buy sell agreement may come with restrictions on how a beneficiary inheriting shares may use them or sell them, it is important to inform beneficiaries of the existence of the agreement and its restrictions. If you own an interest in a business or are about to partner with another person to form a business, and you need more information on how you can plan for what would happen to your business interest after your death, contact a knowledgeable estate planning attorney at Meyer & Spencer, P.C., with offices in Pleasantville and Mahopac, New York, and serving Westchester and Putnam Counties for a consultation.